With 24 affiliates serving counties and communities across Iowa, the Community Foundation of Northeast Iowa's powerful partnership of community-minded, visionary Iowans continues to grow stronger. As partners, we work together to achieve positive, lasting change in the places we call home. Today, the Community Foundation of Northeast Iowa and its 24 affiliates serve communities across the state, with total charitable assets exceeding $110 million. Affiliates benefit from cost-efficient, centralized professional services, including financial and investment management, administrative and technical expertise, and marketing resources; freeing up local leadership to focus on effective grantmaking, endowment building, and community outreach.  Affiliates also benefit from having a lead foundation which has met National Standards for U.S. Community Foundations. The Community Foundation of Northeast Iowa is proud to be the lead Foundation for our 24 affiliate partners and is honored to work with almost 300 volunteers to help them strengthen their local communities and our entire region. The Kossuth County Community Foundation is a local, nonprofit, charitable affiliate of the Community Foundation of Northeast Iowa. Due to the generosity and vision of all our donors, the Community Foundation was established to build stronger, healthier communities in Kossuth County today, and in the future. We support our donors and the communities we serve with visionary leadership, effective grantmaking and personalized endowment building services. The Tama County Community Foundation is a local, nonprofit, charitable affiliate of the Community Foundation of Northeast Iowa. Due to the generosity and vision of all our donors, the Community Foundation was established to build stronger, healthier communities in Tama County today, and in the future. We support our donors and the communities we serve with visionary leadership, effective grantmaking and personalized endowment building services.